"So that was the poodle's core!" Behind PudelsKern stands Verena Helfrich: born in 1983, dog trainer, coach & educator out of passion! The name "PudelsKern" which means "poodle´s core" is not just a literal quotation from Goethe's Faust, behind it hides the philosophy of the work of Verena Helfrich: To get to the heart of the matter, it is necessary to consider many different aspects and not just the obvious and superficial to see. Often a (problem) behavior is just a piece of the puzzle or a symptom that hides something else. In short, it's about recognizing the true meaning, the background, the motives and motivations - the core of a thing. Every person and every dog has its own personality, its history. This should not only be seen in counseling and training, but should also be considered. 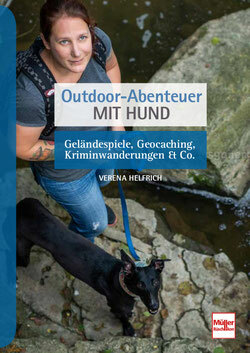 An open, respectful treatment of all human and dog personalities is a matter of course for Verena Helfrich. This includes being able to face all personalities with a lot of empathy and acceptance. A further foundation of her work is her wealth of methods: Each dog and each person is considered in its individuality, so there is not one method for all but individually tailored, diverse methods in counseling & training. A fair deal is Verena Helfrich at heart. This includes, for example, that learning content is taught in such a way that not only the human can understand it, but also the respective dog has the chance to understand what the human wants from him. Would you like to learn more about Verena Helfrich?